Happy and friendly people, long and white fine-sandy beaches, blue sea at a tempreture between 26 -32 °C – that´s Diani Beach,thats Kenya! 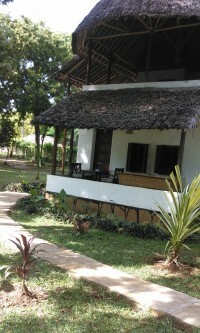 is a paradise for your vacation near the Indian Ocean. We like to create an unforgettable time for our visitors in a lovely, quiet and relaxed environment. In a private compound,in a garden setting with sunbeds. Here you have got the opportunity for individual activities. WIFI is available in all areas,and its free of charge. 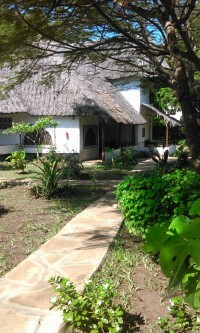 is perfectly located for Safaris, city tours,scuba- diving, kite- surfing and many more. Or you just relax in this great silence of African exotic. The beautiful, white sandy beach is just 100 metres walk.